Just when you thought that the Patanjali saga couldn’t get any stranger, it just did. As if the launch of the Swadeshi Samriddhi SIM wasn’t bizarre enough, Baba Ramdev’s Patanjali earlier today seemingly launched a new indigenous messaging application called ‘Kimbho’, according to ANI. We say seemingly because it’s not clear who the developer behind the app is. First, let’s get a tour of the app. 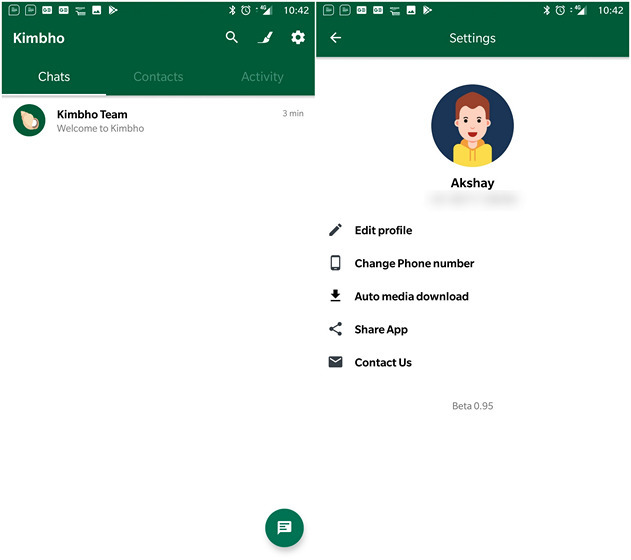 Kimbho is a Sanskrit word that roughly translates to ‘How are you?’, and the app was said to allow users to send direct messages, make calls (including video-calls), create new groups, and more. Users were also said to be able to form broadcast lists, follow celebrities and even doodle using the #SwadeshiMessegingApp. However, as we delved deeper, we found a number of anomalies with the Kimbho app. Seeing as this is billed as a WhatsApp alternative, there was huge interest around this, with reports in all major publications. However, none of the publications bothered to check how Kimbho works – or if at all – and who is really behind the app? Where Can I Download Kimbho? After being released today, Kimbho has been delisted from the Play Store, seeing as none of us could access it from any of our Android devices, which included the likes of the Pixel 2 XL, the OnePlus 6, the Galaxy S8, the Redmi Note 4 and the Galaxy S8, among others. However, before it was taken down, Nikhil and Akshay in the Beebom office installed the app on their respective devices. Amazingly, absolutely nothing in the app seemed to work. Is Kimbho a Fake App? We got the chance to play around with the app a little, and found a bunch a different issues, quite apart from its dated look and feel. First off, none of the basic features worked: calls didn’t connect and messages never got delivered, rendering the app virtually unusable for the most part. 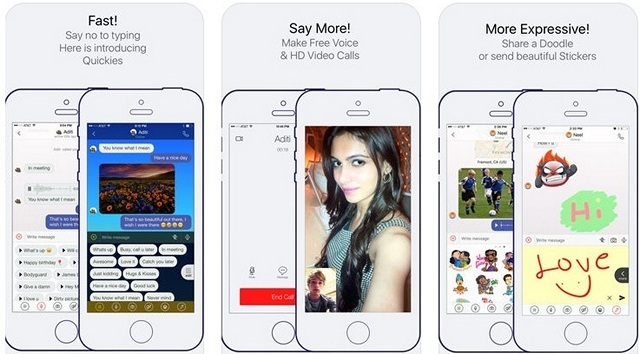 The video calls simply turn on the front camera and ring the phone, whereas the person you are calling never even gets a notification about a call. 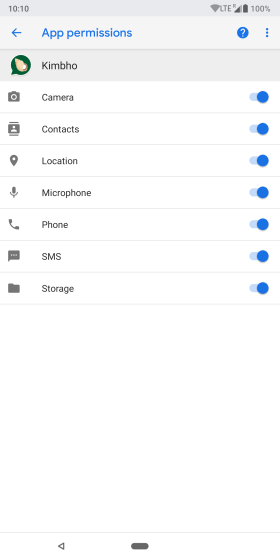 On one Pixel 2 XL, running Android P Beta, the app installed with all permissions turned on, and does not ask the user to allow the permission to use the camera, phone permissions and other. 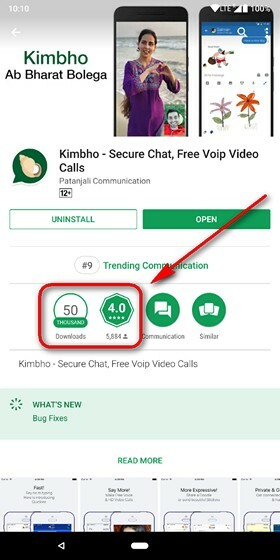 Truth be told, the Kimbho app was amateur hour right from the get-go, irrespective of whether it was a fake app or an honest effort from Patanjali to provide Indian users with an indigenous messaging platform. The first red flag was the Play Store screenshots that included mockups for the iPhone rather than any Android device. As it turns out, there’s an App Store app by the exact same name, logo, screenshots and description. The copyright for that app is seemingly with an entity called ‘Patanjali’, although, we couldn’t verify whether it’s the same company. It is worth noting, though, the Android app had a 4-star rating with over 50 thousand downloads before it was taken down. It was also apparently the 9th trending app in its segment for a little while. Who is the Developer of Kimbho? While the Kimbho app on the App Store is developed by Appdios (who also has a bunch of apps that have seemingly not been updated for several years), the listed developer on Google Play was ‘Patanjali Communications’. This discrepancy is compounded by the developer email listed on the Play Store. The developer was identified with a Gmail address, and it’s unlikely that Patanjali would use a consumer gmail account for an official app. Among the confusion about the origin of the app, noted security researcher, Elliot Anderson, already managed to find serious vulnerabilities with the app within the few hours it was listed on Google Play. As you can see from the embedded tweet, it didn’t even offer the most basic security, and one can pick any security code between 0001 and 9999 and send it to any number. So did you download the Kimbho app? Were you frustrated by how bad it was? Let us know about Kimbho and your current favourite messaging app in the comments below.